The ground stone industry from Pericei-Keller tag. A secondary production centre? 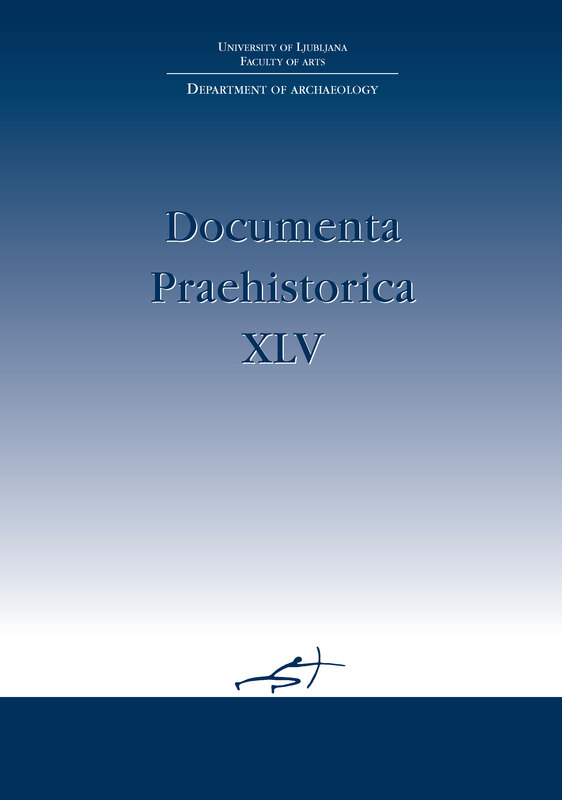 The Documenta Praehistorica is indexed in the European Reference Index for Humanities (SCOPUS and ERIH PLUS). The journal participates in CrossRef, the collaborative, cross-publisher reference linking service. The journal research impact metrics are available at SCOPUS SCImago Journal & Country Rank (SJR) indicator platform. Research papers and reports are published in English language and worldwide distributed. They are mainly focused on: cognition and materialities of prehistoric cultures, archaeogenetic studies, palaeo- demography, population dynamics and cultural trajectories in prehistory, settlement and landscape dynamics, climate anomalies, radiocarbon dating, palaeodietary reconstruction based on stable isotope analysis, chemistry in archaeology and palaeoenvironmental studies. Documenta Praehistorica publishes figures online in colour while the printed version is published mainly in black and white.